Raj Abrar: United Nations human rights chief Michelle Bachelet had called on for a new quasi-judicial body yesterday to collect evidence for future prosecution of crimes against Muslim Rohingya in Myanmar, including murder and torture. An independent UN team of investigators said in a report last month that there was evidence indicating “genocidal intent” by the military against Rohingya, and that crimes against humanity and war crimes appear to have been committed. 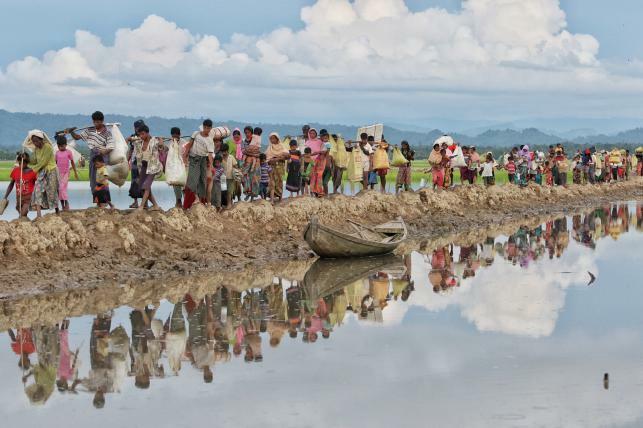 Bachelet, in her first speech to the Human Rights Council since taking office on September 1, said that attacks and persecution appear to still continue in the Rakhine state. Investigators had also found indications of executions, torture and sexual violence against minorities in Kachin and Shan states, she said. The new mechanism – similar to what has been set up for crimes in Syria – would complement and support the preliminary examination of the ICC prosecutor.